TO EXERCISE, RECUPERATE OR RELAX, WATER IS THE BEST THERAPY. IMMERSE YOURSELF IN OUR BEAUTIFUL SURROUNDINGS AND FIND THAT YOU EMERGE RENEWED. 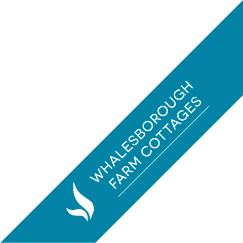 Whalesborough has been designed to enable you to drift easily from the spectacular infinity pool to the soothing whirlpool; from the cleansing sauna to the clarifying aroma steam-room and refreshing drench showers, making it an ultimately relaxing and renewing environment. Retractable panels allow you to enjoy the view from the pool and mean we can let the outdoors in when the sun shines. Our beautiful infinity pool is kept at a constant 29-30℃, making it the perfect balance; warm enough to relax and yet still a comfortable temperature to swim for exercise. In keeping with our natural ethos, the pool is treated with UV light. Our children’s pool ensures that there is a safe place for younger guests to enjoy. Our relaxing whirlpool jacuzzi seats six people in comfort and is immediately adjacent to the infinity pool area, benefiting from the same lovely views and retractable panel technology as the pool. Comfortable and ultimately cleansing, our sauna offers the classic swedish health enhancing experience. Tensions fade, muscles relax, the body detoxifies and even our cardiovascular performance improves. Time spent in the calming retreat of the sauna offers many benefits. The Aroma Steam Room, with its comfortable mosaic benches and scented and stimulating eucalyptus steam, brings relaxing and clarifying benefits. The atmosphere in the steam room helps us fight illness and viruses with an increased production of white blood cells, relieves nasal congestion and research has found that regular steam sessions help reduce the incidence of colds and influenza. Cleanse, cool and refresh after a sauna and steam experience in our luxurious drench shower area.